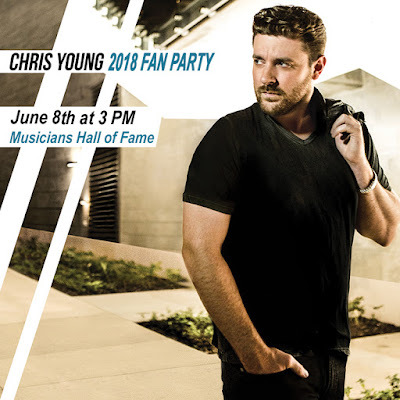 2018 Chris Young Fan Club Party Announced! Chris Young will hold his annual fan club party on Friday, June 8, 2018 from 3 pm to 7 pm at Musicians Hall of Fame during the 2018 CMA Music Festival! This exclusive event is open to fan club members only. Invitations will be emailed to members soon so make sure to renew or join today! You can do so here!